On Monday, the Institute for Christian Studies officially launched an Institutional Repository. Currently, it contains hundreds of items from published articles to theses and dissertations to newsletter archives to unique hidden gems of past scholarship, spanning from the 1960’s to 2013. Though it already contains a substantial selection of scholarship, the Institutional Repository will continue growing to house hundreds more publications. It is not easy work. To be made available for open access, copyright law requires permission from both the author and the original publisher. Once the permission is obtained, the publication is then scanned and formatted for ease of online access and settled into its digital home where it can be preserved long after the hard copy’s pages turn to dust. Building the repository is painstaking work, but it yields fruitful and exciting results for the accessibility of important scholarly work. Not only that, it also digitally preserves fragile pages of the typewritten past. To shed light on the importance of this endeavor and the implications of open access on academic publishing and the future of scholarship, we interviewed ICS’s librarian Isabella Guthrie-McNaughton, who is the driving force and mastermind behind ICS’s Institutional Repository. Ground Motive: Why is it important for scholarly publishing to move towards open access? Isabella Guthrie-McNaughton: In many cases scholarly articles are published in journals that follow traditional publishing modes. The business models of these journals are usually subscription based so that the reader either subscribes to the journal by purchasing a set number of issues or volumes or accesses the journal through a licensed vendor through a library system. In many cases individuals are left without being able to access the journal article. In Canada, making research funded by one of the Tri-Councils (NSERC, SSHRC or CIHR) publicly available through open access is becoming one of the requirements to receiving a successful grant. However, I think one of the most important points about moving to open access is that publications will be accessible to anyone world wide who has access to the internet. Open access maximizes the reach of faculty and student research. GM: Are there weaknesses in the current models of open access publishing? IGM: One of the problems with the current model of publishing through open access is that in many cases the author pays the publisher in order to have his or her article published. At the moment scholarly publishing has been caught up in a variety of business models promoting both traditional means of publishing and open access models (Gold or Green). Until recently it seemed that publishers were not interested in open access. As more scholars in the science and medicine fields began to opt to publish through various open access models, traditional publishers began to see the need to offer open access publishing platforms. However, they are in many cases applying a traditional business model to the open access system by transferring the traditional subscription based monies to monies obtained from the authors wanting to publish through open access. GM: How will increased open access change the future of publishing? How many journals and institutions are moving toward an open access model? IGM: I think that open access has already changed the future of publishing. As I noted in the first question, the publishing industry has been scrambling to catch up to the model of open access by trying to apply traditional business models. Open access isn't only affecting the economic aspects of publishing though. In Europe, where repositories are being set up to receive author pre-prints, a vetting system has also been put into place mirroring the peer-review process. 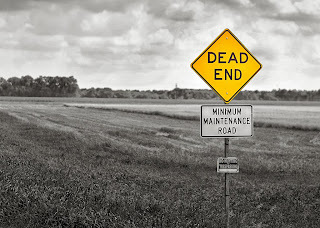 Open access seems to be changing many facets of scholarly publishing. Many universities have implemented institutional repositories. Currently according to OpenDOAR there are more than 2,400 repositories world-wide. Not all repositories have been registered. The repositories hold digitized pre-prints or post-prints of faculty and student publications. In the case of open access journals, many traditionally published journals have moved to open access. Some have moved to Gold Open Access - meaning that rather than charge for a subscription, the publisher relies on grants, advertising, sponsorships and in some cases the author pays to be published in that particular journal. In Green Open Access the author puts his or her article into a repository in the pre-print or post-print version. Currently the Directory of Open Access Journals (DOAJ) indicates that there are 9919 open access journals, comprising 1,517,309 articles from 122 countries. The number of open access journals published is steadily growing. 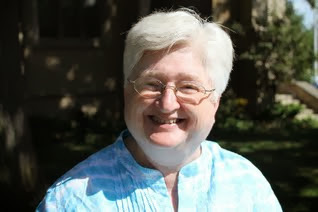 Isabella Guthrie-McNaughton is the Director of Library Services at the Institute for Christian Studies and is currently focusing her research on information literacy, institutional repositories, open access for scholarly publishing, and new frameworks for resource discovery and delivery. the front lawn. Amid the terrific/terrifying traditions that mark the end of October, it seems that Open Access Week has become one that is here to stay. So maybe this year instead of candy, you might consider handing out open access academic papers to the costumed kids who ring your doorbell. In response to the concern that academic publishing has been largely only available to active students and scholars and those who can fork out the cash for subscription fees, the first National Day of Action for Open Access was held on February 15 of 2007. In 2008, Open Access Day went global and was, due to its success and the interest it generated, expanded from a day to a week in 2009. 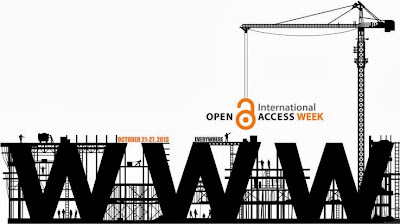 Finally, having established itself as an important initiative for the future of scholarship and publishing, Open Access Week announced in 2010 that in the future, it would be held annually on the last full week of October. Now each year across the globe, countless institutions hold events to educate academic communities and the public about the contributions open access publishing can make to the future of innovation and scholarship. All this is not to say, however, that simply introducing open access is the answer that cures all ills in the academic world nor that it will come about easily. Isabella Guthrie-McNaughton, librarian here at the Institute for Christian Studies, notes that though many publishers offer open access options for publishing, “they are in many cases applying a traditional business model to the open access system by transferring the traditional subscription based monies to monies obtained from the authors wanting to publish through open access.” This means that even open access publishing is cash-driven, which places limits on who can afford the steep fee involved in submitting an article for publication. While some organizations and institutions have begun to provide funding in answer to this constraint, it remains problematic to open access initiatives that much of academic publishing maintains itself as a money-fueled industry. 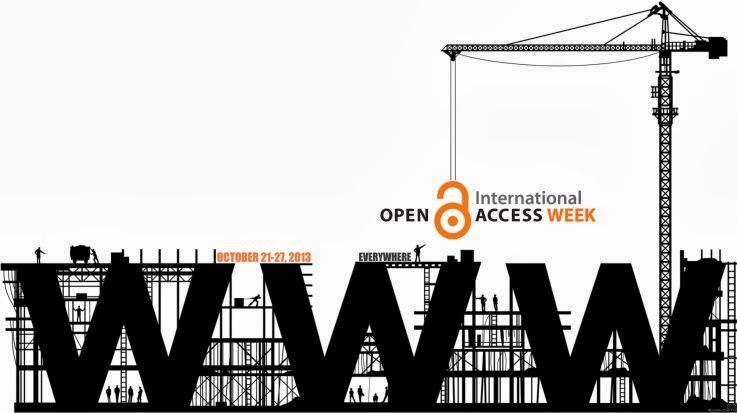 Here in Toronto, Open Access Week is in full swing. The University of Toronto held a series of panels and talks from Monday to Wednesday to raise awareness on the changing world of academic publishing. Continuing through the week, Ryerson University will be hosting student-oriented sessions (a workshop, a seminar, and a documentary film) that aim to educate students about the benefits of open access. Even more exciting for us at the Institute for Christian Studies, Open Access Week marks the launch of our open access Institutional Repository, which allows (with permission from the author and the publisher) free access to archived faculty publications, published student papers, Master’s theses, and PhD dissertations. 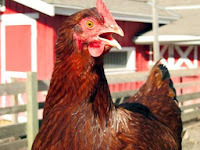 This is an important moment in the history of ICS because it makes the original and visionary work available to the public, to scholars and even to the casual Google search, allowing the unique voice of ICS to be shared with the world in a way that was not previously possible (see this issue of Perspective for details on this project). Open Access Week is a chance for students and scholars to pause and to ponder how our work has the potential to shape the world. It is easy to get lost in the “game” of academia and forget that there might just be a world outside that can benefit from academic research. It seems that the push for open access is the Occupy Wall Street of academic publishing. Open Access initiatives aim to take published research out of the elitist grip of the research-wealthy individuals and institutions and freely redistribute it. This week is a healthy reminder for those of us in academia that our scholarly work has the potential to do more than just augment a CV. If we really believe that our scholarly pursuits matter to more than just a small slice of the academic world, open access is the best way to make our voices heard. With its potential to empower the next generation of researchers with more resources and easily accessible information, Open Access Week might just be the start of a new era of boundless innovation, invention, and creativity in academic publishing. Matthew E. Johnson is a Junior Member at the Institute for Christian studies, focusing his philosophical studies on aesthetics, hermeneutics, and discourse. 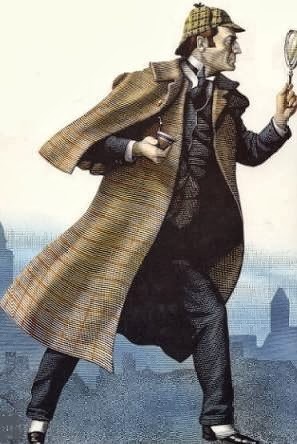 Having inspired an astounding 254 adaptations over the last hundred years or so, Sherlock Holmes received a Guinness World Record in May 2012 for being the most portrayed literary human character in film and TV (beaten only by Dracula, who fell into a different category on account of his not quite being human). The wildly popular British series Sherlock that began in 2010 starring the now-beloved Benedict Cumberbatch along with American adaptation Elementary featuring Lucy Liu as Joan Watson and of course Robert Downey Jr.’s slightly more steampunk Sherlock in the 2009 and 2011 films are the latest chapters in the history of Sherlock Holmes adaptations. And it's probably fair to say that a solid proportion of the shows you will find on prime time television these days are roughly adaptations of Sherlock Holmes’ murder mystery/brilliant detective format. These new adaptations continue to be fresh and compelling, filled with potential for character exploration and adventure, at least for those of us who aren’t disillusioned with the murder mystery genre by now. Letting it get to you. You know what that’s called? Being alive. Best thing there is. Being alive right now is all that counts. Now I can’t claim to have come near to understanding Ludwig Wittgenstein’s ultimate solution (or dissolution) to philosophy in his Tractatus Logico Philosophicus. But it seems relatively clear that the takeaway message from the Tractatus is that philosophy doesn’t get you anywhere except to the place where you realize that philosophy has gotten you nowhere. Wittgenstein’s preface to Tractatus Logico-Philosophicus lets us in on a profound secret, one which we should probably know before we start our graduate studies in philosophy (too late!). Once we solve all the problems in philosophy (as he has, apparently), we’ll come to realize “how little is achieved when these problems are solved” (4). 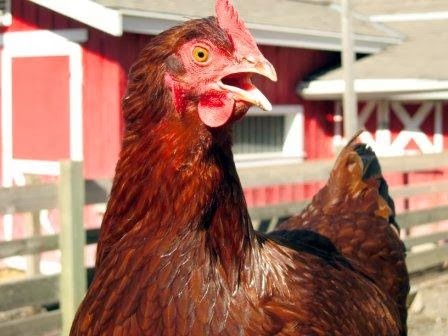 In fact, once we are able to decipher the ultimately definitive truth behind Wittgenstein’s words, we will, according to him, come to realize that all of his words were just clever claptrap. “Anyone who understands me,” intimates Wittgenstein, “eventually recognizes [my propositions] as nonsensical, when he has used them—as steps—to climb beyond them” (89). So according to Wittgenstein, the Tractatus is not meant to be only instructive. It is meant to help the muddled thinker get beyond nonsensical quandaries—it is philosophical therapy. In his book Orthodoxy, Catholic theologian, novelist, and master of the one-liner G. K. Chesterton is similarly concerned with the limitations of philosophy. Madness, Chesterton suggests, is not a breakdown of someone’s ability to think straight. It’s just the opposite: “The madman is the man who has lost everything except his reason” (24). The thing is, you can have a complete, self-enclosed explanation of the world that makes perfect sense, rationally speaking, but you might still be dead wrong. If you think you’re the rightful King of England, so Chesterton argues, the existing authorities will probably deny it and call you crazy. But isn’t that exactly what the authorities would do if you were the rightful King of England, just to protect their own authority? Everything in your life suddenly makes deadly sense, and everywhere you turn, you find confirmation that you are the rightful King of England, and the whole world is upside down and against you. How deep does this conspiracy go?! And so it is, says Chesterton, that the madman “is in a clean and well-lit prison of one idea: he is sharpened to one painful point” (27). For Chesterton, this is something that affects more than just the “madman.” Taking careful aim at the materialist philosophy of his day to make an example out of them, Chesterton, in his characteristic rhetorical style says this: “The materialist is sure that history has been simply and solely a chain of causation, just as the [madman] is quite sure that he is simply and solely a chicken. Materialists and madmen never have doubts” (29). If we start to think that we’ve got a handle on how the universe works, leave it to Chesterton to remind us that maybe our complete rational explanation of the universe may not be as complete as we think it is. For Chesterton, it’s not a matter of how precise and complete an explanation is; it’s about how large it is (24). Once we realize the limitations of our narrow explanations and open ourselves to the possibility that the universe is large and mysterious, life takes on a new and surprising clarity (33). I can’t help but wonder if something like this is precisely what Wittgenstein had in mind when he wrote the Tractatus Logico-Philosophicus. If we can get past the hope that philosophy will solve all our deepest questions, perhaps we can get on with our lives. Trust me, cautions Wittgenstein, I’ve found the limits of philosophy, and it’s not as great as you think it is. Wittgenstein divulges the secret to understanding the Tractatus in a letter to potential publisher of the book Ludwig von Ficker: “[M]y work consists of two parts: of the one which is here, and of everything which I have not written” (“Letters to Ludwig von Ficker” 94-95). The second part, according to Wittgenstein, is about ethics, and it’s the reader’s job to fill it out by living life in response to the conclusions of the first part. If we can climb up beyond all the meaningless problems of philosophy using the first part, we’ll be able to live life, ethically awake and more alive. The first part of the Tractatus being an enigmatic collection of logical proofs and definitions, it’s difficult to see how this provides a springboard into living out an ethical life. But I’d like to think that Wittgenstein is up to something brilliant. Maybe if, through Wittgenseinian philosophical therapy, we’re finally able to peel back all the layers of muddled thought, we’ll be able to let life get to us, to be really alive right now. If we can let go of the temptation to try to distill the universe into simple propositions and be okay with a little mystery, maybe life will break through. And if we can let it get to us, maybe we’ve already started “writing” the first page of the second part of Wittgenstein’s Tractatus Logico-Philosophicus.